Prominent & Leading Manufacturer and Supplier from Ludhiana, we offer Sliding Doors such as Bathroom Sliding Door and Aluminium Sliding Door. With the support of our experts and sophisticated in-house facilities, we have been able to offer an array of Aluminium Sliding Door to our prestigious clients. 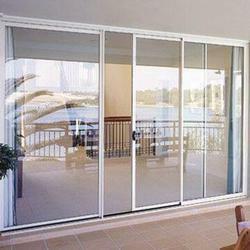 Our clients can avail from us a wide assortment of Bathroom Sliding Doors. It is appreciated for its durability, dimensional accuracy and leak, rust & corrosion resistance. The doors can be availed by our clients in various specifications and can also be tailored according to the requirements of our clients.